Looking for a late night snack? Go here! 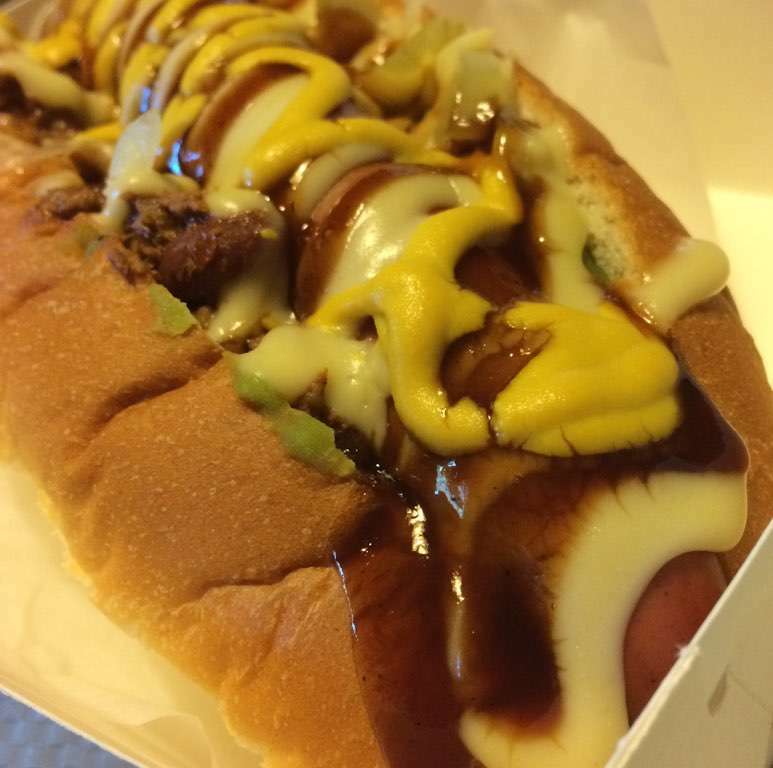 Great for a late night hot dog with cheese and drowning in cheese sauce. They specialise in pies, but I always for the the hot dog. There are several around Sydney.